Whether you are a member of law enforcement or a private armed citizen, you rely on the gun at your side on an everyday basis. It’s there to protect you in the worst situations that happen to arise at a moments notice. We believe a Glock 28 holster should serve you just as well. 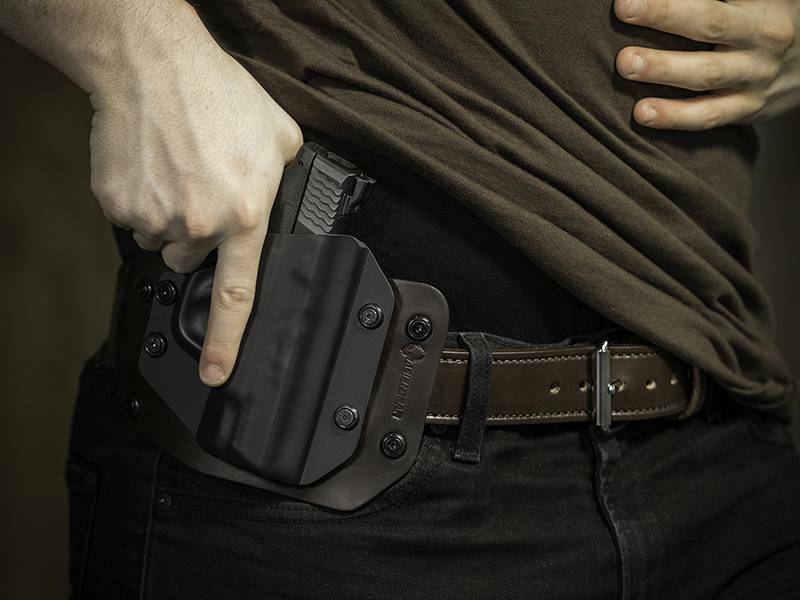 Our comfortable, concealable Cloak Tuck 3.0 inside-the-waistband holster will be just as reliable as your Glock 28 pistol in the line of duty. It all begins with its revolutionary spring-steel core, a material that will provide more strength to the Cloak Tuck 3.0 than anything else on the market. 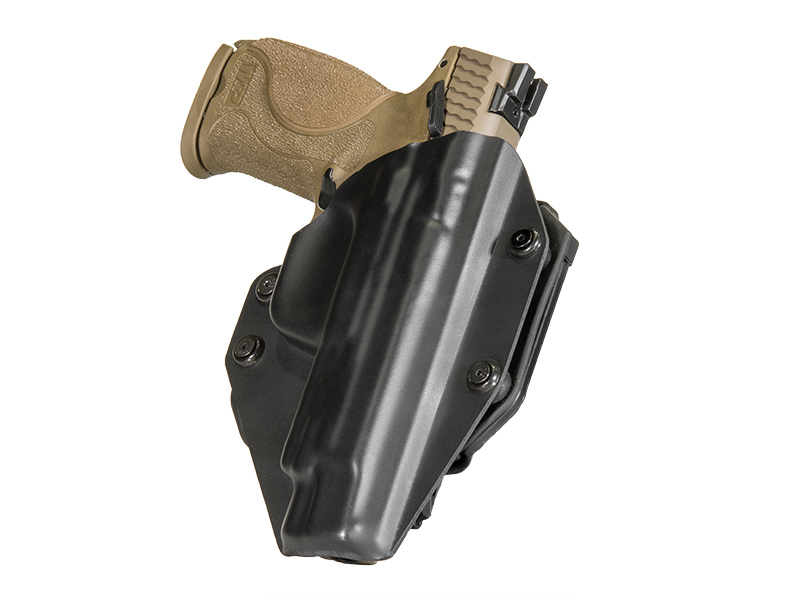 Couple this spring-steel with a layer of ballistic nylon and you’ve got yourself an IWB holster that will last you through years of hard use. Our engineers have also added a thermo elastomer ‘Alien Skin’ raised surface that provides enhanced retention and durability to your concealed carry. Plus, it just looks cool. 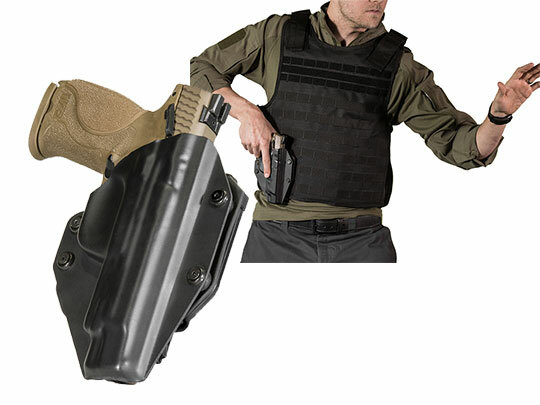 As Alien Gear Holsters has evolved, we have become synonymous with comfort (and concealability). 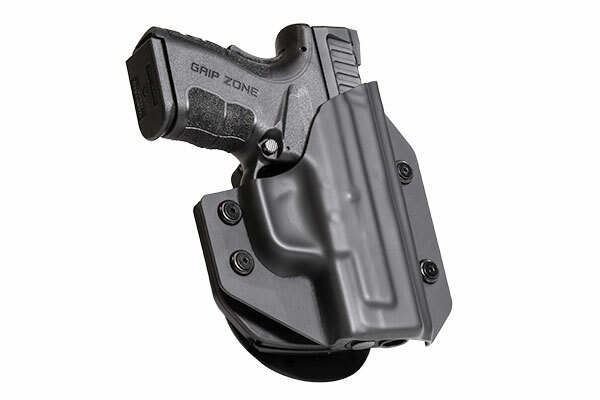 We’ve achieved this in part by adding an ultra-soft layer of neoprene to the back of our Glock 28 IWB holster base. This sweat-resistant material conforms to the concealed carriers’ side, while also flexing to your hip with ease. Customization is also a huge part of our creative process. As a result, you can now position your Glock 28 where you’d like it by adjusting your holsters’ cant (angle), ride height, and retention with just a screwdriver and a few spare minutes. 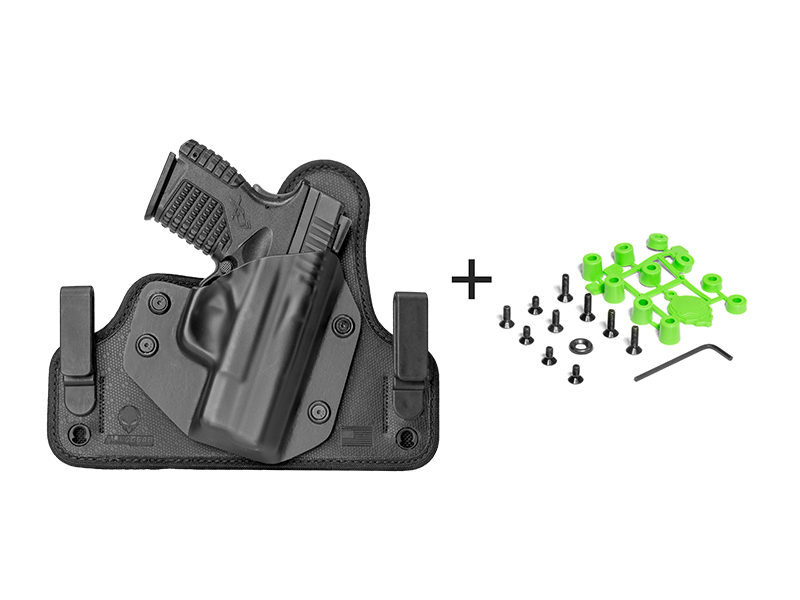 Achieve the ride height and tilt that you’d like by simply relocating the Glock 28 concealed carry holster clips provided in your order. It’s that simple. 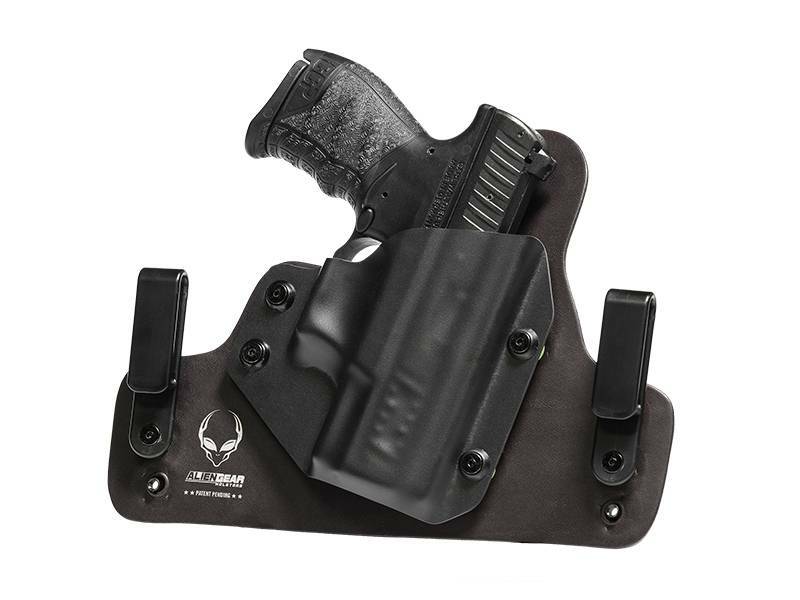 If you’d prefer to carry your Glock 28 outside the waistband attached to your belt, Alien Gear Holsters offers the Cloak Slide a Glock 28 OWB holster. It will serve you well on an everyday basis. 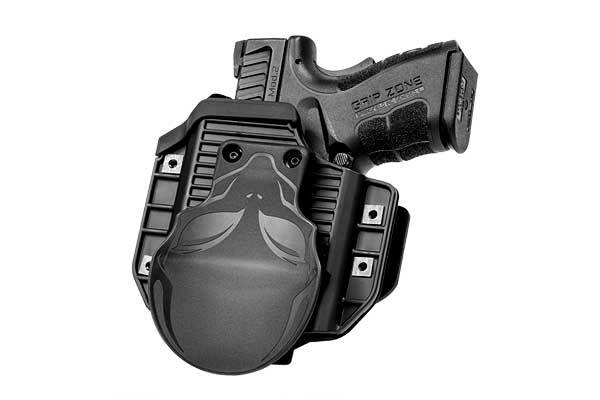 Get the most comfortable, concealable carry on the planet with an Alien Gear Holster.